Today in history, on October 25, 1916, American Impressionist William Merritt Chase died. 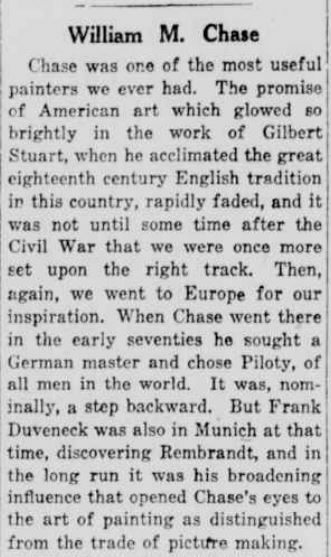 Chase was born in 1849 in Williamsburg (now Ninevah), Johnson County, Indiana. He spent some of his youth in Indianapolis before pursuing an art career in New York City, St. Louis, and Europe. 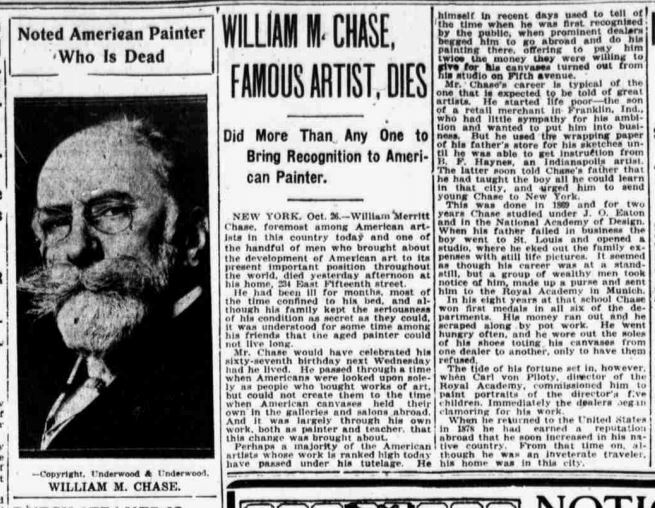 Two of his obits can be accessed in Chronicling America below. Washington Times, October 26, 1916. Chronicling America. New York Tribune. October 27, 1916. Chronicling America.